and you’ll never second guess your futures entries, stops & exits again! 95% of active individual traders are getting tricked, trapped and blindsided by institutions — and don’t even know it. Why? Because, even though you have access to the exact same data as the institutions, your indicators blind you to critical intel institutions are basing all their moves on — inside the candles! When you use indicators — you are in effect putting a blindfold on. This makes you unable to see the order flows of aggressive buyer and seller imbalances and institutional volume that always precede price. Trade locations are where the large institutions are buying or selling. It is important to identify these areas as a trader who goes by order flow will trade there. This can be done by using NOFT’s Institutional Edge System. 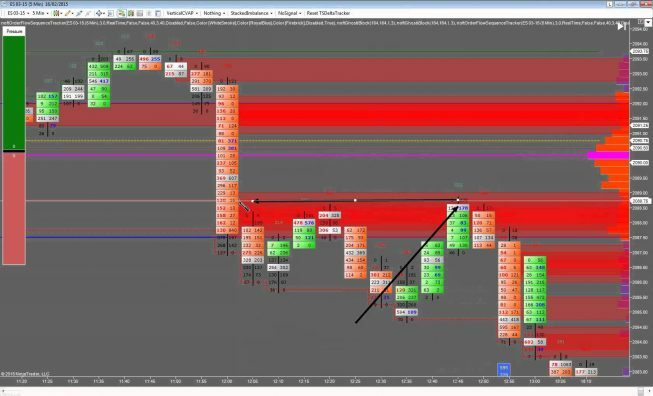 Order flow tells us when to trade. A trader can use an order flow sequence tracker (OFST), such as the following, to analyse a candle. It gives good information regarding the aggressive buyers and sellers. These OFST has multiple real-time signals, like the “unfinished business”. It is signal where a candle is not completely finished, which can be eventually studied to identify scalp trading opportunities. This information flows to the trader intraday and is based on order flow sequencing. Similarly, block trades are indicative of large scale institutional involvement and high volume areas. 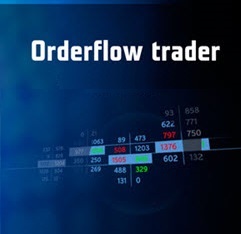 Therefore, using order flow, a trader can determine the entry points in the trade. (screen 3). Once a trader has entered the trade, the most important thing is to plan an exit strategy. Therefore, it is important to have a trade management system like the institutional money flow tracker which points at the risks and tells the trader when and where to exit. 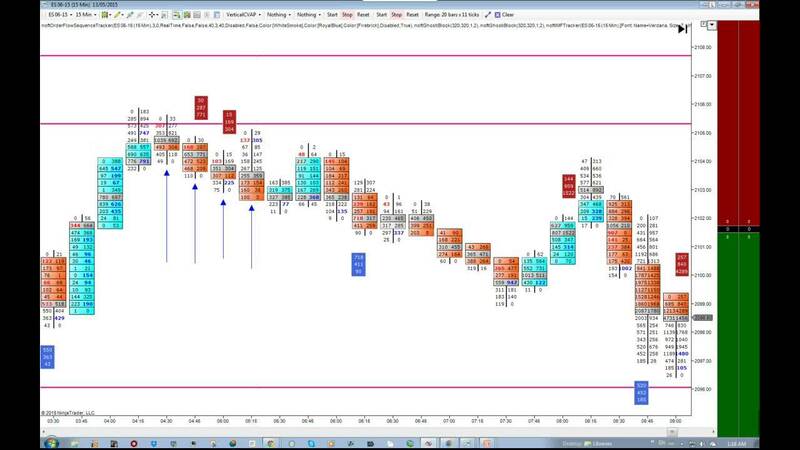 This tracker monitors the activities from the time a trader enters the trade. It also calculates all the ‘buys’ and ‘sells’ to arrive at a Cumulative Delta. If the delta is positive, the trader continues to go long or otherwise exits. (screen 4).